When he's not designing a clothing line for the hippest of hip hop shops, Sears, LL Cool J is dropping his 13th album. 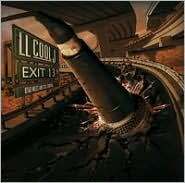 On "Exit 13," 40-year-old Cool James is on a mission to let the kids know he's still relevant. It's too bad that he spends so much time referencing his place in the history of the game because the songs could really speak for themselves. "Get Over Here" shows LL is not afraid of dabbling in the new school and "Feel My Heart" (featuring 50 Cent) is one more dirty-talk slow jam notch on his bedpost. The album takes a turn for the weird when Bon Jovi guitarist Richie Sambora and Cool J turn "Baby" into a horrible remake of "Living On a Prayer." Luckily, the record finds redemption when Cool J pledges his allegiance to the hometown girls. "Man, American girls are something to see/I bet Thomas Jefferson would love BET." Truer words were never spoken. Paige is not always awesome with names. She just barely stopped calling my friend Bert's daughter McKenzie (Kenzie) "Candies." She calls her cousin, Nathan Vogelsberg, Nathan Cheeseburgers. And she thinks my mom's remodeling guy's name is Christmas. Uh, it's Chris. Is there a pattern--candy, cheeseburgers, Christmas? Favorite things, perhaps? Luckily Paige and I have the same taste in music. We were both very excited when the new Matt & Kim video debuted. However, she is very concerned about some of the unsanitary situations in the video. "Oh, no! They're in the garbage can! Oh, no! They're in the fridge! " During sacrament meeting on Sunday, Paige was lying under the pews saying something over and over. I didn't mind. It was the quietest she had been all day and she wasn't shouting"A-MEN!" or declaring, "That's yummy bread!" But after I heard repeat the same phrase for the tenth time, I leaned down to get a closer listen. "Sesame Street is brought to you by the letter E and the number 6. Sesame Street is brought to you by the letter E and the number 6. Sesame Street is brought to you..."
She doesn't even watch Sesame Street regularly. What a weirdo. Monday night is record review night, where I hammer out 3 record reviews for IN Utah This Week. I never thought that writing about music would be incredibly taxing, but alas, it does make it more difficult for me to enjoy my preferred Monday night activities, namely watching The Hills and Gossip Girl with Traci. The majority of the CDs I review are direct submissions to the magazine. Most fall into the so-so category, which is really the hardest to write about. Awesome is easy. Horrible is easy. But what do you say about the mediocre? Tuesday is my day off from new music. So what do I choose to listen to when decompressing? This morning I commuted with "Rise and Fall, Rage and Grace" by The Offspring. It made me really happy. It also served as proof that I have no right giving an opinion on what qualifies as good music. 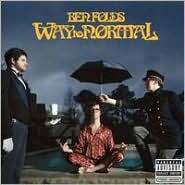 "Way to Normal," is filled with the quirky humor that has largely been missing since Ben Folds' ditched the Five. But rather than feel refreshing, 42-year-old Fold's crass jokes come off a bit sophomoric. The record starts out strong with "Hiroshima (BBB Benny Hits Head)," a story of Folds falling off the front of the stage during a show in Japan. The fall must have knocked something loose because the album's lyrics are all over the place. Folds sings about getting acupuncture, being rich enough to get free coffee, and wondering if an ex-girlfriend is reading the same news article about astronaut Lisa Nowak's diaper-clad trip across America. Though the album has plenty of charm ("Hiroshima," "Effington"), it is incredibly disjointed. It's nice to hear Ben Folds having a little fun after his snoozer last record "Songs for Silverman," but "Way to Normal" could have used a bit more focus. With just about every band opening their political mouths over the last few years, one voice has not only been quiet but missing entirely. 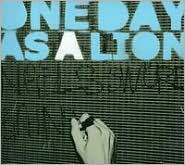 Zach de la Rocha breaks his eight year studio silence, not with his band Rage Against the Machine, but with side project One Day As a Lion. De la Rocha mans the keyboards and the microphone and ex-Mars Volta drummer Jon Theodore keeps the beat steady. One Day As a Lion follows doesn't stray far from the Rage formula, though it is a bit more electro than electric (and those wacky Tom Morello guitar solos are absent). De la Rocha hasn't lost a step, spitting vitriolic verses about death, destruction, war and religion over fuzzed out keyboard lines. The only drawback is that the lyrics often get buried in the mix. Clocking in at just 20 minutes, the release is driven by unrelenting urgency. The songs are not as instantly memorable as the highlights from the Rage catalog, mostly because they are not as repetitive. This is actually good thing, as it prevents the 5 song EP from tiring so quickly. Here's hoping De la Rocha doesn't make us wait another eight years for the next release. Whose kids are these, anyway? Last night, my sister-in-law asked Paige what she's going to be for Halloween. The new and improved Weezer definitely got the party started at the E Center last night. The band has always been fun on their records, but has been known to be a bit ornery on stage. On this tour, the foursome has gone out of their way to make things fun for the fans and themselves. Clad in matching white old man jumpsuits the band opened with the revved up version of "My Name is Jonas." After just a few tracks they unzipped, only to reveal matching red old man jumpsuits. Sweet. Also very uncharacteristic was Cuomo's delightful stage banter. He recounted spending yesterday in Salt Lake at the Children's Museum with his wife and 17-month-old daughter, buying fake food in the fake grocery store. Though he looked like a junior high school janitor in his jumpsuit and moustache, he was certainly a lovable janitor. Much like on "The Red Album," each band member took turns on lead vocals on several tunes. Bassist Scott Shriner was surprisingly good on "Perfect Situation" and Brian Bell pleasantly squeaked through "El Scorcho." Though none of the other Weezers have nearly as a good a voice as Cuomo, it was cool to see how much they all enjoyed changing roles. Cuomo banged away on the drums for a few numbers, drummer Pat Wilson shredded the guitar, and there was even a keyboard cameo by the band's webmaster. The crowd also able to get into the instrument-switching fun. For an encore, 30 or so fans were invited to bring their instruments—ranging from a penny whistle to an accordions to a tuba—on stage to accompany Weezer on "Island in the Sun." The result was delightfully horrible. Though longtime Weezer fans may have been hoping to hear more early material—the majority came from "The Red Album"--the atmosphere and performance more than made up for it. No one left disappointed. Paige and her cousin Ryan were a scary sight, driving around at grandpa's ranch in the Gravedigger. Curtis got a real haircut from Grandma Martha today. Fortunately, Paige had prepped him for it. Metallica's been in a lose-lose situation for the past 15 years. They've desperately tried to move forward but all their fans really want is the old Metallica. "Death Magnetic" is a calculated attempt to return to the pre-"Black Album" days. The elements are all there. Songs are longer, darker and more complex. Kirk Hammett's guitar solos melt faces, Lars Ulrich brings back the thrash metal swing and James Hetfield is still growling. But it is a hit and miss affair. There are moments, such as on "The Day That Never Comes," that feel like vintage Metallica, but lesser tracks like "Cyanide" just feel forced. Though "Death Magnet" is no "Kill 'Em All," it does show the band still has some firepower left. 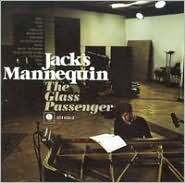 "Glass Passenger" picks up where the Jack's Mannequin debut left off. Opening track "The Resolution" is an instantly engaging, piano-driven pop tune that wouldn't feel out of place between Vanessa Carlton and Michelle Branch. Though the album doesn't always maintain this same level of overt happiness, it is always full of life. Frontman Andrew McMahon has a pretty interesting perspective on life, having spent the past few years fighting leukemia. This record reflects McMahon's desire not just fight, but to win. "You gotta swim/Swim when it hurts/The whole world is watching/You haven't come this far/To fall off the earth." McMahon doesn't waste any time feeling bad for himself. "Glass Passenger" is all about moving forward. If you love Vampire Weekend, you will love this record. If you don't, at least you will find Ra Ra Riot about 20 percent less annoying. 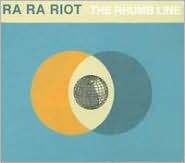 Formed at the University of Syracuse, Ra Ra Riot definitely shares Vampire Weekend's Ivy League feel, but manages to sound less pretentious. The songs are generally bouncy head boppers, propelled by Wes Miles' slightly-British accent and Milo Bonacci's understated guitar. The real highlight, though, is the weight given by violinist Rebecca Zeller and cellist Alexandra Lawn. The ladies' sweeping strings manage to push tracks like "Ghost Under Rocks" to whole other level and really give the band an identity of their own. I officially did the Weezer interview. It didn't start out well. The phone interview was originally scheduled for Tuesday at 3:00 p.m. eastern, postponed until 4:00 p.m. eastern, and then moved to Thursday at 3:40 central. Blasted time zones. At 4:00 central I got the call. I talked to guitarist Brian Bell for exactly 44 seconds before the call dropped. After reconnecting, we spoke for another 30 seconds before it dropped again. The third time was a charm and we had a good, if not disjointed, conversation. The only really uncomfortable moment was when I asked if the dudes in the band thought it was cool that they got to sing on the new album. "We sing all the time. I sung more on 'Undone' that Rivers did.'" "Uh, you did? Well, I mean, lead vocals." "Oh, yeah. That was cool." We talked about how backstage Weezer is just a bunch of dudes loading up the trucks and that pre-performance Weezer consists of a lot of napping and not eating four hours before the show. I'll post the full interview shortly. Until then, here's the completed article. The past year has been a strange one for Weezer. The band's normally reclusive and dictatorial leader, Rivers Cuomo, not only released an album of intimate home recordings but also relinquished some of his Weezer power, allowing each of his band mates to take a shot in the lead singer role on the band's new record. And the guys have never been happier. Weezer guitarist, (and big brother of local artist extraordinaire Leia Bell) Brian Bell, put up with Cuomo's constant chiding and a bad cell phone connection to talk about their current Troublemaker Tour. "We're definitely the most entertaining we've ever been in our career," Bell says. "The shows are getting progressively better, so I predict by the time we hit Salt Lake we'll be in full swing." Bell says that the quality of recent shows results from the band feeling more comfortable with each other on stage than ever before. "Everybody's taking more responsibility in the show," Bell says. "Rivers is really performing. I don't want to give away too much of the show, but it's absolutely entertaining. People that have seen our shows for years and years say this is by far the best show they've seen." Weezer has made a conscious effort as of late to push themselves out of their comfort zone, both onstage and in the studio. The most notable change on the "The Red Album" was Bell, bassist Scott Shriner and drummer Pat Wilson each taking a turn on lead vocals. "That's what we went for on this album—what would be thrilling for us," Bell explains. "One of the things I mentioned was I'd like to sing and even write a Weezer song for this new album and we made it happen." Cuomo also pushed himself in the songwriting. The album's centerpiece, "The Greatest Man that Ever Lived (Variations on a Shaker Hymn)," manages to switch genres a half dozen times in just under six minutes. "Rivers was a little bit fed up with the pop song structure and wanted to experiment," Bell says of the song. "Theme variation structure is prevalent in classical music. He came up with different versions of the melody—the theme—and later we found out that the theme was very similar to a Shaker hymn. So that's why we call it 'Variations on a Quaker hymn.'" When it comes to long term plans for Weezer, it's just about moving forward. "To keep making records and tour [is] success enough for me," Bell says. "But I would like each record to not rehash the past. To stay in the creative moment and come up with music that wasn't there before, that's one of the most fulfilling things you could possibly do." "Our approach has always been to try to make something groundbreaking, otherwise what's the point?" Bell says. I don't know how I could have let this slip passed me. One of my all time fav bands, The Travoltas, covering one of the all time best Bad Religion songs, Sorrow. The Travoltas are from Holland. I think they only did one tour in the U.S., which I believe was while I was on my mission. When Traci and I went on our second trip the Netherlands, they were playing a show way on the other side of the country. I briefly considered us doing a huge amount of train and bus riding to go, but I wussed out. Shoulda gone. They broke up about a year ago. Me: Paige, who's the boss? Daddy's the boss. She quickly unlearned this truth. On Sunday I said, "Paige, let's watch football." "After Dora." (Dora the Explorer is her new favorite thing, leaving the Wiggles and the Doodlebops in the dust." And that was that. We watched Dora.